Over a decade of historical data allows us to build data driven product features, so you can make more informed and quantitative decisions to hit your KPIs. Leverage multiple social media channels to distribute brand messaging through influencers. Activate creators to distribute social content across a variety of social channels. Review every piece of content before it ever goes live. Choose when content should go live with auto-publishing available on Facebook and Twitter. Amplify owned content using the power of influencers. Create projects with flexible budgets and only pay for actual performance. 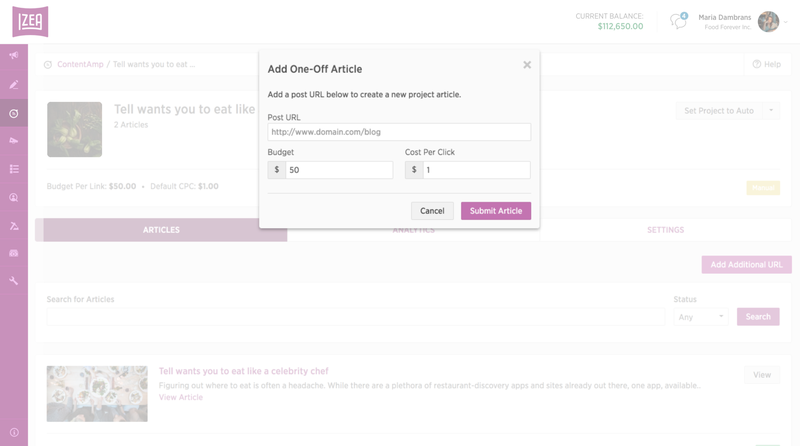 Set custom article budgets and cost per click for each project. Leverage IZEAx creators to amplify content with easy project setup. Instantly view and track performance across the project or individual articles. Easily view and edit content settings within your project. Amplify an influencer’s content through the creator’s own social ad handle. 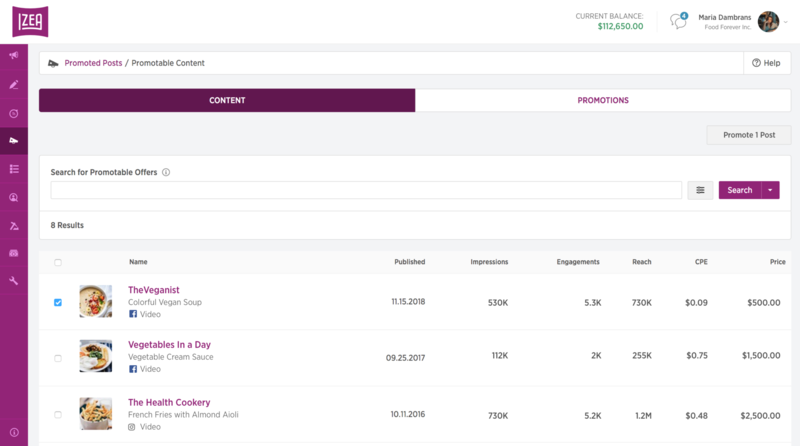 Programmatically target content to reach your ideal audience for exponentially more engagements and impressions. Set custom budgets and track the performance of these creator generated ad units through API integrations directly within IZEAx. Search live Facebook posts within a campaign to add paid boosting on the best performing content. Create new Promoted Posts in-platform. 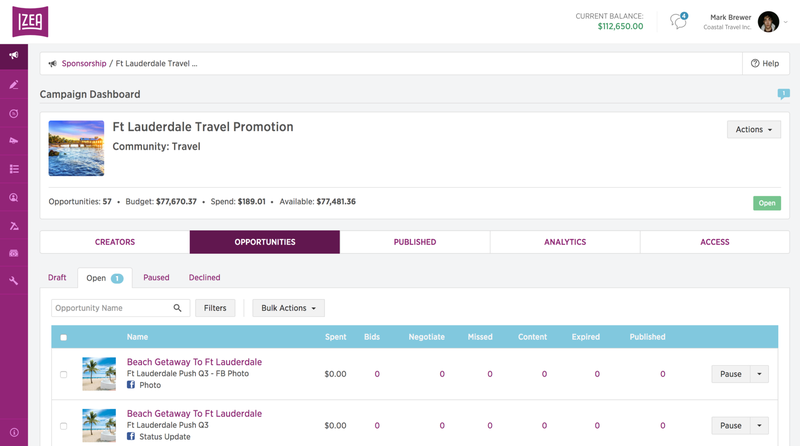 Set custom campaign budgets to boost content. Define the audience and placement of each Promoted Post to micro target results.